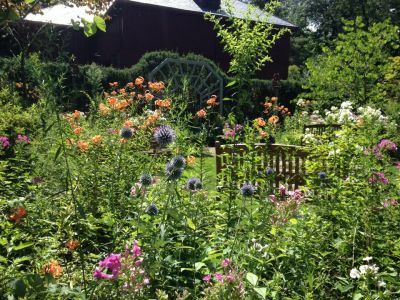 Each year, Wakefield Estate plays host to Garden Conservancy's Open Day, a 1-day peek at some gorgeous and historic local gardens. As host garden, the Wakefield Estate lines up several remarkable gardens, some with historical pedigrees and others representing remarkable accomplishments of local gardeners and landscape designers. Begin your day at the Wakefield Estate, purchase a discounted day pass ($30 for all five gardens), pick up a map and head out to see some or all of these great and inspiring gardens. A guided tour of the Wakefield Estate will be offered at 1:00 p.m., rain or shine. For more information, visit this link. As host garden, the Wakefield Estate lines up several remarkable gardens, some with historical pedigrees and others representing remarkable accomplishments of local gardeners and landscape designers.Begin your day at the Wakefield Estate, purchase a discounted day pass ($30 for all five gardens), pick up a map and head out to see some or all of these great and inspiring gardens. A guided tour of the Wakefield Estate will be offered at 1:00 p.m., rain or shine. For more information, visit this link.